WeDoJapan provides Japanese translation, transcreation and copywriting. Unlike general translation agencies that handle multiple languages, WeDoJapan specialises in translation between Japanese and English. Special Offer: WeDoJapan is offering 15% off their services. WeDoJapan Ltd is a boutique agency specialising in Japanese and English communications based in the UK city of Bath. The company was founded in 2013 by Tony McNicol and Yoshie Harimoto and presently works with clients in the UK, Japan, Canada and Hong Kong. Since we are based in the UK we can work closely with companies also located in the UK. We offer a friendly, flexible, personalized and cost-effective service in either English or Japanese. 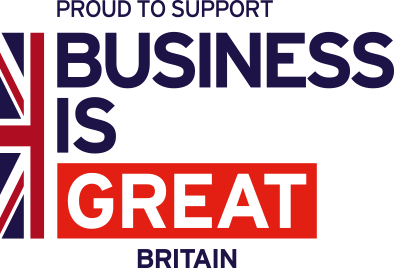 Our translation, transcreation and research services are enabled by a deep knowledge of both sides of the UK-Japan business relationship. We work with a wide network of translators, designers and other talented specialists in the UK and Japan on a project-by-project basis. Our translators translate only into their native language. Typically, the text will be translated into the target language then checked and proofread by a second qualified translator. This is translation industry standard practice, designed to eliminate error and ensure quality. This painstaking process ensures accurate and natural translation. For larger projects with short deadlines, we can employ and coordinate a team of translators and translation-checkers. We are also experienced at using translation memory tools and shared glossaries to maintain consistency throughout large projects. We can use existing glossaries provided by you, or help create new glossaries and style guides. If your translation requires an element of copywriting, such as marketing materials with a message adapted for a Japanese-speaking market, we can also provide transcreation and copywriting services. We charge by English word for English to Japanese translation, and by the hour or project for other services. The per-word cost to translate your text may depend on a number of factors, including its length, its technical difficulty, the format and the deadline. As a boutique agency with low overheads, we aim to provide a service equivalent to, or better than, larger agencies, but at a competitive cost. Please contact us with details of your text to receive an estimate. This offer is available to new clients and applies to the first project with WeDoJapan.